I saw this AD from Coke and started thinking about defining happiness and how simple things make us happy. Once incident came to my mind which I feel helps me understand what happiness means to me. When I was in college, they used to screen a movie for the hostellers every week. Our college auditorium will be converted to a movie theatre only for that day. They will screen a movie which all students from hostel can watch for free. It was not a big thing for senior students, because they could go and watch whatever movie they can. First year students didn’t have that privilege. They can’t go anywhere, except class rooms. Hence, first year students enjoyed these weekly movies. We used to wait eagerly for that day. Funny thing is those movies were not new. They used to screen movies which were at least 10 years old. Most of us would have watched those movies already. But still, the opportunity to be with the crowd and enjoy a movie was amazing. So, we went and saw the movies again. Another nice thing about this weekly movie is, we wouldn’t know what is the movie being screened. Sometimes, we won’t even know the name of the movie till they start screening it. After couple of months, someone told us that they display the poster of that week’s movie in a notice board. We can come to know the name of the movie two days earlier. But, that board was in some other corner of the college. We are not allowed to go that side. One of our friends found a cool trick to get to that notice board. I don’t remember what the trick was, but it allowed us to go to that corner of the college and see the notice board. This meant, we came to know about the name of the movie two days in advance, and then we can go to the hostel and tell everybody. They used to look at us as if we have a superior IQ than them. When I think about this incident now, it is a silly thing. That is an old movie, anyone will come to know the name of the movie after two days; still, we found some pleasure in finding that name early and telling others. What value that ‘happiness’ has today? May be nothing. But at that time, it felt like the best thing to do and we did it every week. After we entered second year, we didn’t have to watch the weekly movies screened in college. We could go and watch latest movies. But even then, I used to go and see that notice board every week, to know which movie they are screening. We used to joke about how ancient those movies were. But we didn’t stop checking for that information. Today, when I browse Facebook, I feel like the same college boy going to that notice board to know the name of the movie that will be screened that week. It is absolutely useless information, but I want to know it and I feel happy to know it. Many people feel time spent on Facebook is wasted. But I believe it is in our genes to know what is happening around us and Facebook makes it super easy. For the same reason, we find simple pleasures in things like chatting with friends, gossiping etc. We can spend that time in other useful things. But then, all work and no play is not something anyone wants! Just noticed Quickr has introduced a “Chat” feature. I guess everyone knows what Quickr is; it is a platform where everyone can sell anything to anyone, mostly used for selling used goods. On this context, will Chat click? When we think from the angle of people who are selling or buying something from Quickr, Chat provides an easy way to communicate with the other party in one place. Means, you don’t have to share some details in phone, some in Email etc. and finally confused what is shared with whom. This acts as a single inbox where all these details can be viewed, not just with one person, but with multiple people, all neatly categorized by product. This makes sure these messages don’t occupy my mail box where searching for these details among many other Emails is difficult. I feel this is the first reason why someone will use Chat ahead of other channels. Second reason is, Quickr chat allows photo uploads. This can really be a very useful feature for buyers and sellers of used products. For example, if you are buying a used washing machine, you may want to ask the seller to click picture of the machine from certain angle. With mobile app for chat, this will be easy for anyone to do. If used properly, this can be as good as really seeing that product in front of you. Third and the most important benefit, a buyer can use this chat experience to improve their listing. For example, let us say someone selling a television speaks to ten different buyers on chat. These people are asking various details which the seller responds. Now, he can look at the common questions asked by most people and include them in his listing itself for the benefit of others. This can be a simple copy, paste. If Chat feature is not available, such a discussion can still happen, but Chat makes it very simple and easy to access in one place. It makes the process easy as the chat can happen from anywhere: computer or mobile phone or tablet. This connected experience will speed up the communication and bring the deal to closure quickly. I have observed that people living outside India use these websites to buy things for their folks here who may not be technology-savvy. In such cases, chat will help a lot in having a conversation without any time zone issues. As this can be synchronous as well as asynchronous mode of communication, people can post messages and others can either reply immediately or take care of it when they have time. It will take some time for Indian users to accept the chat offering. But once they use this feature once, especially on a mobile device, this has the potential to become their first choice for all future sales and purchases. Few years back, I recommended a friend to join our company. I liked his way of working. There was an opening in the company for such a person at that time. So, it was a nice match. He got selected, started working for us. After few weeks, some problems started, I heard about them from both sides. My friend complained to me directly. His manager also spoke to me about his attitude and how he is frustrated working with my friend. Thankfully, both of them were not blaming me. I didn’t (and can’t) force that manager to hire him. Just like I felt he will fit in this job, his manager would have seen something good in him before hiring him. But that doesn’t matter now. Things are not working. My friend decided to switch to a different company. His manager was happy to hear this. Few days after he submitted his resignation, I got a notification from our HR that I will be paid referral bonus for recommending this friend to the company. It was a significant amount. As per company policies, anyone who is recommending anyone else will get a referral bonus six months after that person joins the company and works there continuously. So, legally, I am eligible for that bonus. But, my friend was leaving after six minutes, one week! Technically speaking, my referral didn’t help the company. May be he worked there for six months, but it caused so much friction, no one benefited from it. So, it didn’t sound right to accept that referral bonus. I was hesitating how to say this to HR. After few days, the payment was done on my account. Now, it became tricky: Refusal itself was difficult, now I have got the money, returning it is going to be a huge challenge! Meanwhile, my friend left the company. But, no one from HR asked me to pay back that referral bonus! Now, it is left to me to either tell them the truth, or sit silent. I didn’t lie, at the same time, I was not telling the complete truth in this matter. It was a very complex decision to make. I didn’t worry too much about losing that money, but I was confused if I am right or wrong: Should I keep the money because as per company policies my referral stayed for six months, or I should return the money because the hire didn’t benefit the organization? I thought a lot about it and decided to return the money, because I felt numbers (six months) shouldn’t drive policies. May be my referral stayed in the company for the required time, but what he did during that time should matter. By that rule, I am not eligible to get the referral bonus. So, I spoke to HR and finance teams to return the referral bonus they paid me. I can’t describe how happy and relieved I felt that day! This Kinley AD talks about a similar concept, a bit over simplified, but I guess the message is important! I was busy conducting a training class when that important (even life changing) call came. It was from a colleague and a very close friend. But I couldn’t pick the call as I was teaching and it’s not professional to stop the class in between and waste everybody’s time. So I disconnected the call and continued my class. After few seconds he called again. There must be something very important. I apologized to my students and picked the call. Of course XYZ is not a real company. I am purposefully hiding its identity to avoid unnecessary trouble. XYZ was (and is) a very big organization. Couple of years back they chose our company for one of their important software implementations. It was a big project which promised us a good cash flow for many months. But more importantly, we were proud of being part of an engagement that is going to touch thousands of Indians and possibly change their lives. So we did a fantastic design, developed a great application with many interesting features, deployed it and were maintaining it successfully. That’s when, all of a sudden XYZ decided to throw us out and award the maintenance contract to someone else. Of course we can’t claim perpetual rights at XYZ. But when they pick someone else, it must be fair. They should give a good reason and they must give us a chance to remain there by matching the other company’s rates or quality level or whatever else. But none of that happened here. They just asked us to leave and that’s it. We were not ready to give up that easily. My boss spoke to some senior officials there to find out what went wrong. After lot of James bond stuff he found the real reason. It seems they decided not to renew our contract because we were not paying those officers any bribe. Our organization was not big. But in our relatively small existence, no customer demanded illegal bribes to award any projects. Even XYZ gave us this contract because of our talent and expertise, not because we greased their palms. Now we were in a serious confusion. Should we pay these corrupt folks and get a back door entry to this project? Or walk out? Business-wise the decision was an easy one. This new project was as big as the previous one, if not bigger. We would make lot of money through this and it makes sense for us to consider this bribe as an investment. On the other hand it will be totally unethical. This dishonest act will come back and haunt us for the rest of our lives. So we were divided. Some senior managers told it will be foolish to let go this opportunity. After all, everyone does it and why not us? Another group of managers felt we should say a firm ‘No’. ‘We don’t need that dirty money’ they argued. So we walked out of XYZ account. The new contract was awarded to the same company which took our old project. It gave us real heart-burn. Sometimes we even felt our boss took an unrealistic decision. It seemed to us gods don’t have time to perform miracles and punish bribe payers or receivers. After many months when we almost forgot about this whole episode, XYZ was on news, this time for wrong reasons. Looks like the promoters of that company heard about this scam in awarding software projects and did a complete audit, investigation. They found all bad apples and made arrangements to take legal proceedings against them. They cancelled all project allotments in the disputed period and released fresh bids for them. As a result, we got our old contract and couple of more projects without paying a rupee as bribe. In a country like India this is indeed a miracle and on retrospect now we all feel happy and proud that we didn’t go the easy, dishonest way. I recently attended a business conference where the main theme was about sustainability. Speakers and students presented papers on how to make this world a sustainable place, while allowing business growth. I was impressed with the kinds of topics that were presented. Many of them were new concepts to me. It was thrilling to know people and companies are thinking in these lines instead of simply being selfish about themselves and their business. During the first break, we were served some snacks, along with a small water bottle. That’s when I noticed the whole venue was filled with those small water bottles. They were small, easy to pick from one of the tables, easy to open, easy to drink and easy to throw. Everyone was doing it. Pretty soon I saw few hundred bottles discarded in few minutes. This could have been avoided if they provided some water dispensers and reusable glasses instead. Of course, it is not convenient. That’s why these 200 ml water bottles are popular in business events, weddings and other social programs. I have seen them in many places, but here it looked odd because the theme of the event was supposed to be sustainability and we are throwing unnecessary trash just because it is convenient. “So, all this trash will be collected by them and recycled?” I asked. “I think so” was his answer. I could see that he was not sure about it. That’s where the problem lies. We are going by buzz words like renewable, recyclable, organic etc. Without getting into details on how exactly it is done. As a result, many companies just use these words to impress you without having any real plan to implement them. But, what can we do? It is impossible for companies also to check how the trash generated from the use of their products is handled across the country. So, the only way is, each one of us watching others. If someone drops trash irresponsibly, we should open up and say it. If they respond with an “it’s none of your business” kind of response, we should be ready to confidently say that it is everybody’s business, after all we share the same world; won’t we object if someone throws trash at our own home? Why the same doesn’t apply for the world too? Swacha Bharath campaign is not just about cleaning “after” the trash is thrown in, we should do something “before” the crime happens. Strepsils had come up with an interesting campaign #AbMontuBolega in their website (http://www.abmontubolega.com/), Facebook (https://www.facebook.com/StrepsilsIndia) and Twitter (https://twitter.com/StrepsilsIndia) pages. This campaign revolves around the concept of speaking up. It applies to many situations in life, especially when you see someone not doing things the right way. You should speak up because you care for them or you care for the world. இந்த வலைப்பதிவில் நான் எழுதிய கட்டுரைகள் இப்போது ”தினம் ஒரு பா” என்ற பெயரிலேயே நூலாக வெளியாகியுள்ளது. பழந்தமிழ் இலக்கியங்களில் இருந்து சேகரிக்கப்பட்ட 365 பாடல்கள் + எளிய உரை கொண்ட இந்தப் புத்தகத்தை வெளியிட்டிருப்போர் வானதி பதிப்பகம், 604 பக்கங்கள், விலை ரூ 300. ஆன்லைனில் வாங்குவதற்கு இரண்டு இணைப்புகள்: http://goo.gl/Nyui66 மற்றும் https://www.nhm.in/shop/100-00-0002-183-7.html. கல்லூரி நாள்களில் நானொரு பாக்கெட் நாவல் பிரியனாக இருந்தேன். குறிப்பாக மர்மக் கதைகள் என்றால் அத்துணை இஷ்டம்! கோயம்பத்தூரில் தெருவுக்கு நாலு பழைய புத்தகக் கடைகள் உண்டு. அவற்றில் இந்த மர்ம நாவல்கள் காசுக்கு எட்டு விகிதத்தில் மிக மலிவாகக் கிடைக்கும். அப்படி ஒரு கடையில், நான் இதுவரை வாசித்திராத அதிநவீன கொலைக்கதைகளைத் தேடிக்கொண்டிருந்த நேரம், மிகப் பழைய புத்தகம் ஒன்று கண்ணில் பட்டது. அந்தப் புத்தகத்துக்கு அட்டைகூட இல்லை, முதல் பக்கமும் பாதி கிழிந்திருந்தது. உள்ளே புரட்டியபோது, ‘குறுந்தொகை : புலியூர் கேசிகன் உரை’ என்று தெரிந்துகொண்டேன். ஏனோ, அந்தப் புத்தகத்தைப் பார்த்தவுடன் எனக்குப் பிடித்துவிட்டது. காரணம் தெரியவில்லை. அதற்குமுன் நான் சங்க இலக்கிய நூல்கள் எவற்றையும் வாசித்தது கிடையாது, பள்ளியில் தமிழ்ப் பாடத்தில் ஒன்றிரண்டு பாடல்கள் எதேச்சையாகக் கண்ணில் பட்டிருந்தால்தான் உண்டு, மற்றபடி அதில் ஆர்வமோ, ஞானமோ கிடையாது. ஆனால், அந்தக் கிழிந்த புத்தகம் என்னை மிகவும் ஈர்த்தது. ஒருவேளை, நான் அதைப் புரட்டியபோது கண்ணில் பட்ட பாடல்கள் அனைத்தும் சிறியதாக நான்கைந்து வரிகளுக்குள் நிறைவடைந்துவிடுபவையாக இருந்ததால் ‘எப்படியாவது படிச்சுடலாம்’ என்று நினைத்தேனோ என்னவோ! பழைய புத்தகக் கடையில் எஞ்சினியரிங் புத்தகங்களுக்கும் மாத நாவல்களுக்கும்தான் மரியாதை, அங்கே பழந்தமிழ் இலக்கியத்தை யார் சீண்டுவார்கள்? 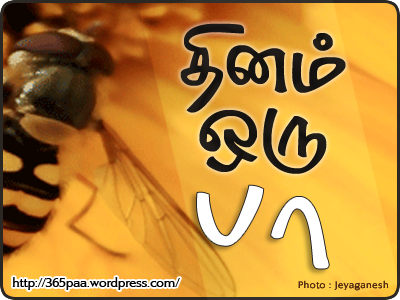 அலட்சியமாக, ‘பத்து ரூவா குடு!’ என்றார் அவர். அந்தப் ‘பத்து ரூவா’ புத்தகம் இன்னும் என்னிடம் பத்திரமாக இருக்கிறது. என்னளவில் நான் செய்த மிகச் சிறந்த ‘செலவு’ (அல்லது ‘வரவு’) அதுதான். அன்றைக்கு மிக எதேச்சையாகப் படிக்க ஆரம்பித்த அந்தப் புத்தகத்தில், பலாப்பழத்தின் இனிமையையெல்லாம் பிழிந்து ஒரே ஒரு சொட்டில் இறக்கிய தேன்போன்ற குறுந்தொகையின் செறிவில், அதைப் புலியூர் கேசிகன் அருமையாகவும், எளிமையாகவும் விளக்கிய பாங்கில் என்னை மறந்துவிட்டேன், மற்ற சங்க இலக்கியங்களையும், பிற பழந்தமிழ்ப் பாடல்களையும் தேடிப் படிக்க அதுவே தூண்டுதலாக அமைந்தது. இந்த வாசிப்பில் நான் கற்றுக்கொண்ட ஒரு விஷயம், தமிழ் என்றைக்கும் இளமையானதுதான், சரியானபடி பதம் பிரித்து, நாம் இழந்துவிட்ட சொற்களையெல்லாம் மீட்டுக் கொண்டுவந்து வாசித்தால் போதும், இன்றைக்கும் அதன் இனிமையில் நாம் சொக்குவது உறுதி! இணையத்தில் நான் சில பழந்தமிழ்ப் பாடல்களைச் சொல்லி, அவற்றுக்கு எளிய (இன்றைய) தமிழில் விளக்கம் சொன்னபோது, ‘அட! நல்லாருக்கே!’ என்று பலர் வியந்தார்கள், ‘இதுமாதிரி இன்னும் எழுதுங்க!’ என்றார்கள். ம்ஹூம், இவர்கள் குறுந்தொகையோ புறநானூறோ கம்பனோ தேவாரமோ திவ்யப் பிரபந்தமோ நாலடியாரோ வாங்கமாட்டார்கள், ஒருவேளை வாங்கினாலும், படிக்கமாட்டார்கள். பிடிவாதம் அல்ல, பிரமிப்புதான் காரணம்! ‘இவ்வளவு இருக்கே’ என்கிற அந்த வியப்பை, ‘இவ்ளோதான்’ என்கிற அளவுக்குக் குறைக்கவேண்டுமென்றால், ஆங்காங்கே கொஞ்சம் கொஞ்சமாகத் தொட்டுப் பதம் காட்டவேண்டும், அதனால் ஈர்க்கப்பட்டவர்களில் சிலராவது அந்த நூல்களைத் தேடிச் சென்று வாசிப்பார்கள் என்பது என் நம்பிக்கை. அதற்காக, பல பழந்தமிழ் நூல்களில் இருந்து பாடல்களைத் தேர்ந்தெடுத்து, தினம் ஒன்றாக அறிமுகப்படுத்தத் தொடங்கினேன். ‘தினம் ஒரு பா’ என்ற அந்த இணைய தளத்தில் (https://365paa.wordpress.com/) வெளியான பாடல்களின் தொகுப்புதான் இந்தப் புத்தகம். இதில் பக்தி இலக்கியம் உண்டு, காதல் உண்டு, பிரிவு உண்டு, அறிவுரை உண்டு, தத்துவம் உண்டு, இலக்கணம் உண்டு, வேடிக்கை உண்டு, புதிர் உண்டு… எல்லாமே சில நூறு ஆண்டுகளுக்கு முன்னால் எழுதப்பட்டவை, ஆனால் அவை தருகிற உணர்ச்சிகள் அனைத்தும் இன்றைக்கும் பொருந்துகிறவை என்பதை நினைத்து நாம் வியக்கலாம், பெருமைப்படலாம். தனிப்பட்டமுறையிலும், இந்தத் ‘தினம் ஒரு பா’ எனக்குத் தந்த கொடைகள் அளவிடமுடியாதவை. நான் பண்டிதன் அல்லன். ஒரு பழம்பாடலைப் பார்த்தவுடன் அதன் பொருள் புரிந்துவிடாது. தலையைச் சொறிந்துகொண்டு அகராதியைத் தேடி ஓடுகிறவன்தான். அதேசமயம், தினம் ஒரு பாடலுக்கு விளக்கம் எழுதுவது என்று தொடங்கியபிறகு, சொற்களைப் பிரிப்பது, புரிந்துகொள்வது, புழக்கத்தில் இல்லாத, ஆனால் எளிய சொற்களை அடையாளம் காண்பது, இப்போது நாம் சகஜமாகப் பயன்படுத்தும் சொற்களோடு அவற்றை ஒப்பிட்டு மகிழ்வது என்று இதுவே ஒரு மிகச் சுவாரஸ்யமான விளையாட்டாகிவிட்டது. முக்கியமாக, கவி நயம். அதுவரை நான் மேலோட்டமாகமட்டுமே வாசித்திருந்த பல நூல்களை ஆழச் சென்று முழுக்க வாசிக்கும் ஆர்வத்தைப் பெற்றேன், அவற்றின் மேன்மை புரியத் தொடங்கியது. இந்தப் பலனெல்லாம், இந்நூலை வாசிக்கும் உங்களுக்கும் கிடைக்கவேண்டும் என்கிற அக்கறையுடன் இதனைத் தொகுத்திருக்கிறேன். இறைவன் அருள் துணை நிற்கட்டும்.